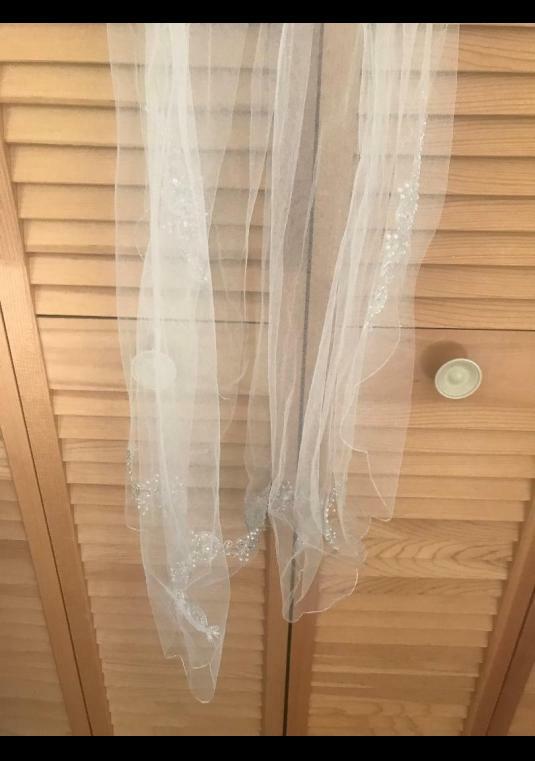 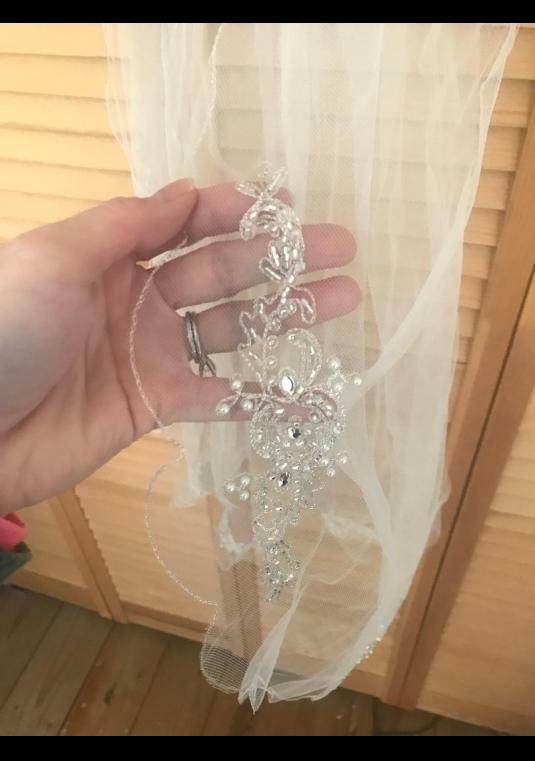 https://www.davidsbridal.com/Product_beaded-and-crystal-motif-scalloped-edge-veil-vwg3121_mid-length-veils Veil is ivory but I wore with white dress and color was not noticeable. 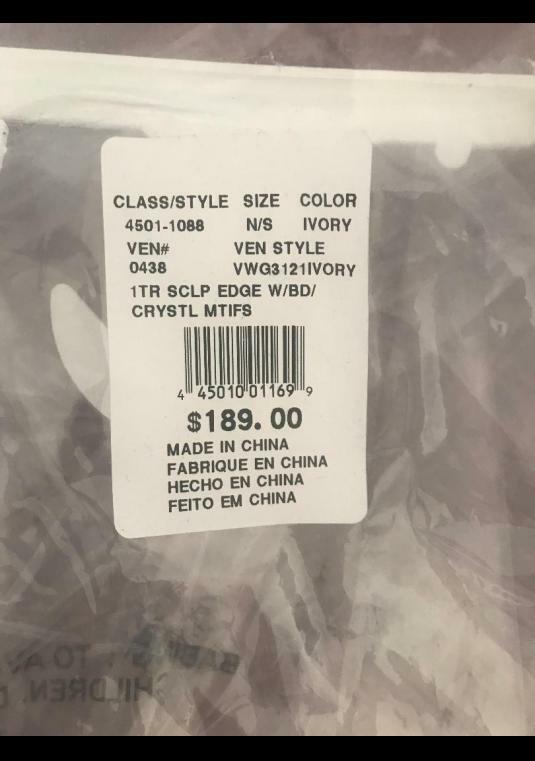 Original price $189, now on sale at DB. 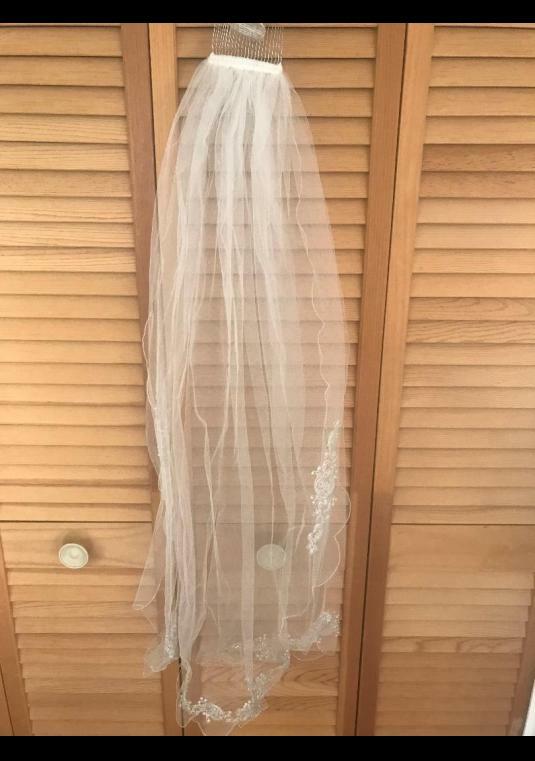 I&#39;m selling for less than the DB price.